We have come to the end, my Puddlers. All that's left is the crying (and by that I mean tomorrow's post where I let you download the full ZIP file of the album Forest City). Today's track closes out the bonus track section of this release with a cover of the classic song "Mendocino," which was written by Douglas Sahm and originally recorded by the Sir Douglas Quintet in 1969. This version of "Mendocino" recorded by Forest City was taken from a live show somewhere in Brooklyn at some point in 2009 or 2010 (I think this reflects the actual haziness of this period for anyone). 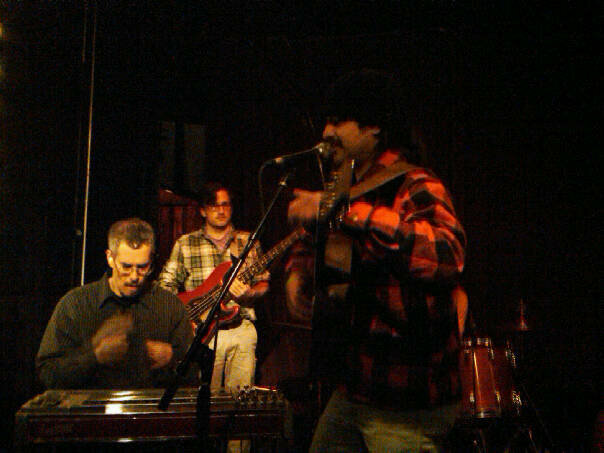 Again, it features a legendary player by the name of "Jeff" on pedal steel guitar (above left). If anyone sees this man, hire him on the spot. We'll be back for the wrap up tomorrow and then next week will be back to longer posts.